With over 20 years of financial services and investment experience, Niall is focused on providing comprehensive wealth management solutions to individuals and families, estates & trusts, and charitable and business organizations. As a Senior Portfolio Manager with TD Wealth Private Group, he provides a high level of personalized service for clients. Niall works with a talented group of partners and has complete access to their expertise and the resources of our TD Wealth and TD Bank Group teams. His role is to create a fully integrated and comprehensive plan for his clients, by ensuring that the appropriate experts are brought in when required, to apply their specialized knowledge to a particular situation. This can range from investment management, to estate planning, and to credit and insurance needs. This partnership is crucial to client's needs evolving from the accumulation of wealth to the preservation and transitioning of their wealth through every stage of their life. Niall graduated from the University of Toronto with a B.A. in Economics. He holds his Chartered Financial Analyst (CFA) and Fellow of the Canadian Securities Institute (FCSI) designations. 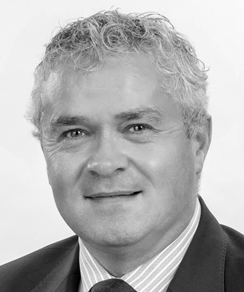 Niall also holds his Ontario Life Insurance License, and incorporates this into advisory solutions for his clients.